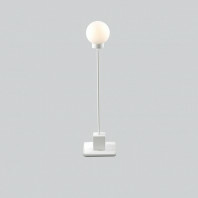 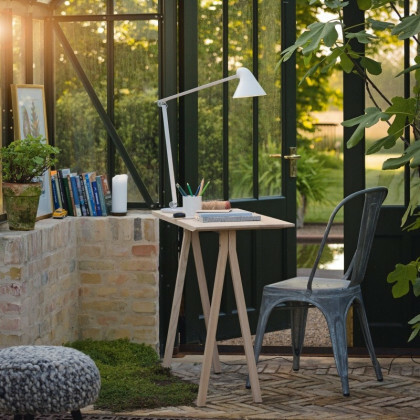 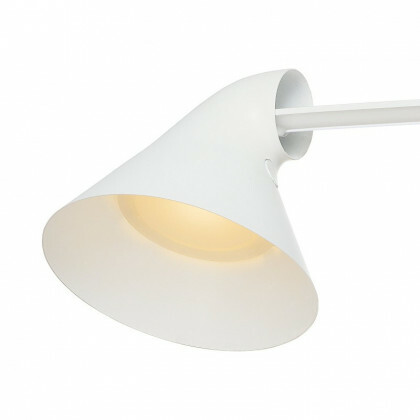 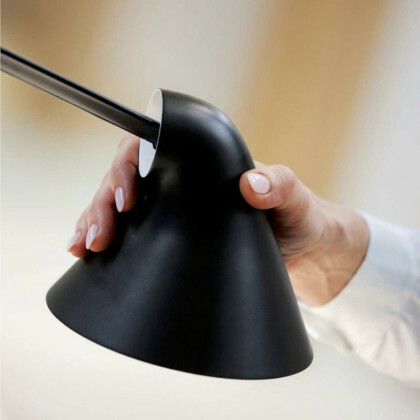 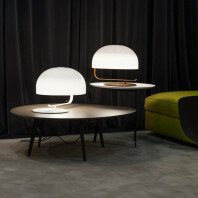 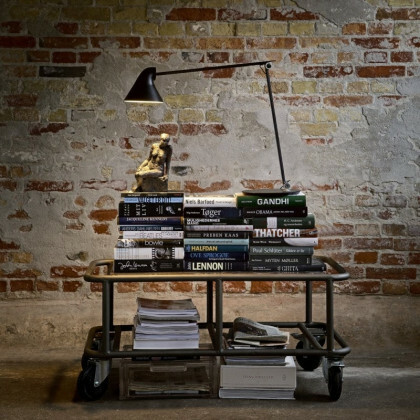 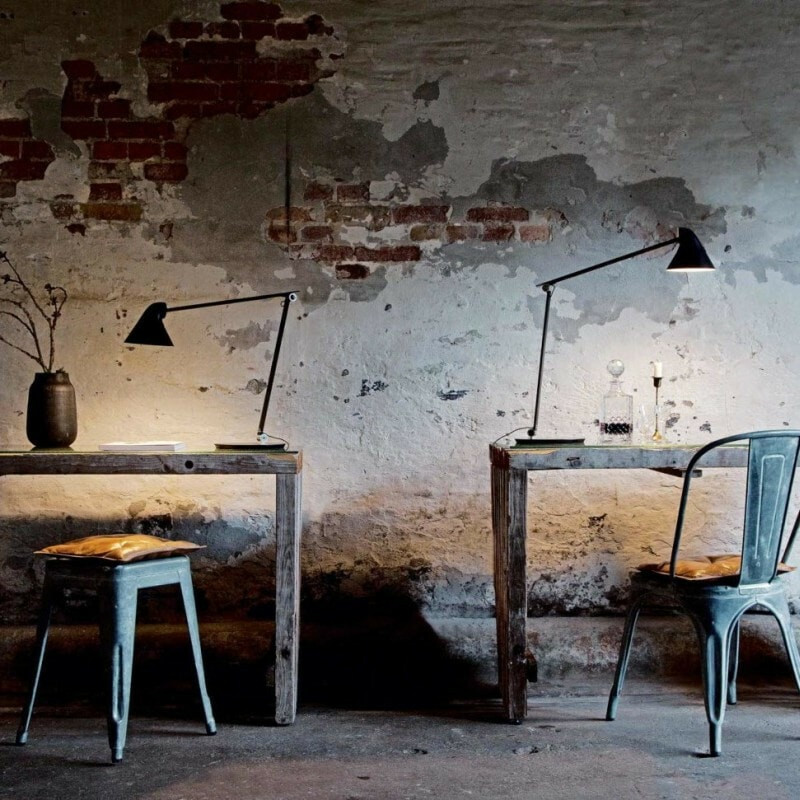 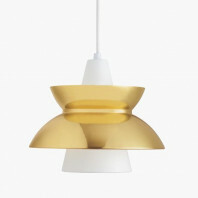 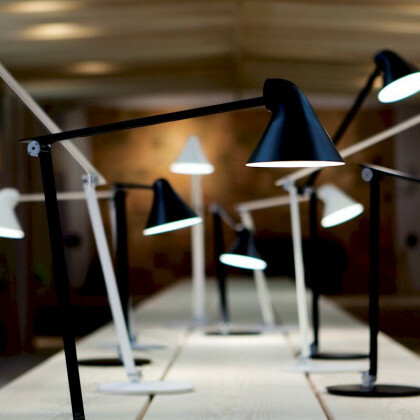 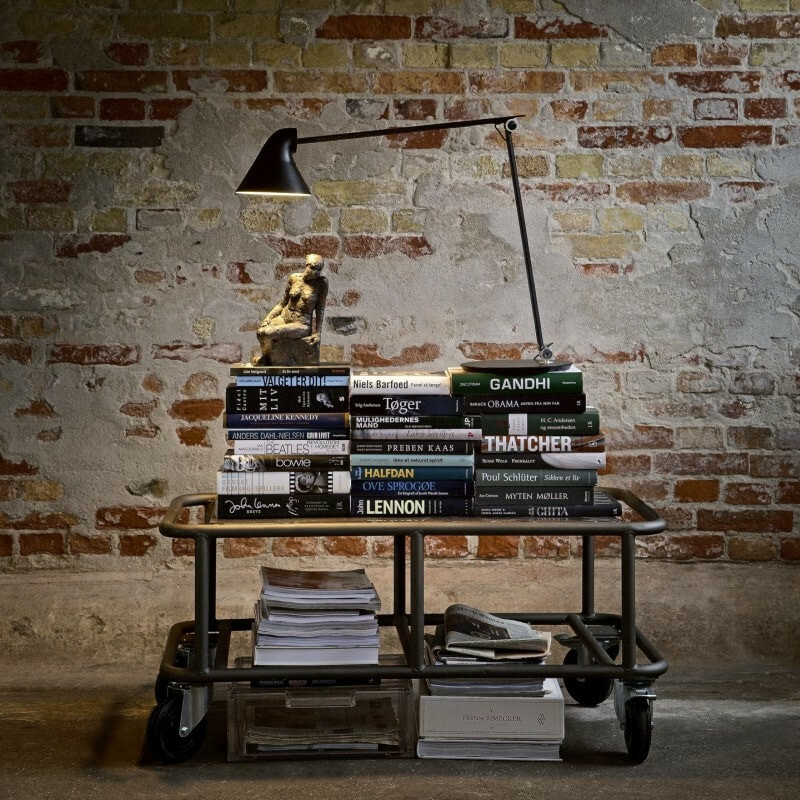 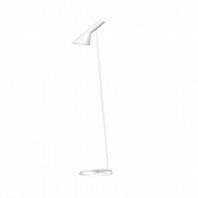 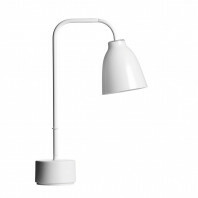 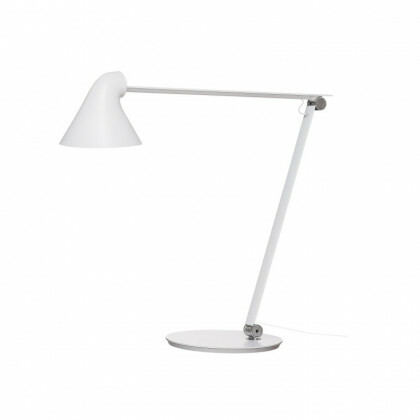 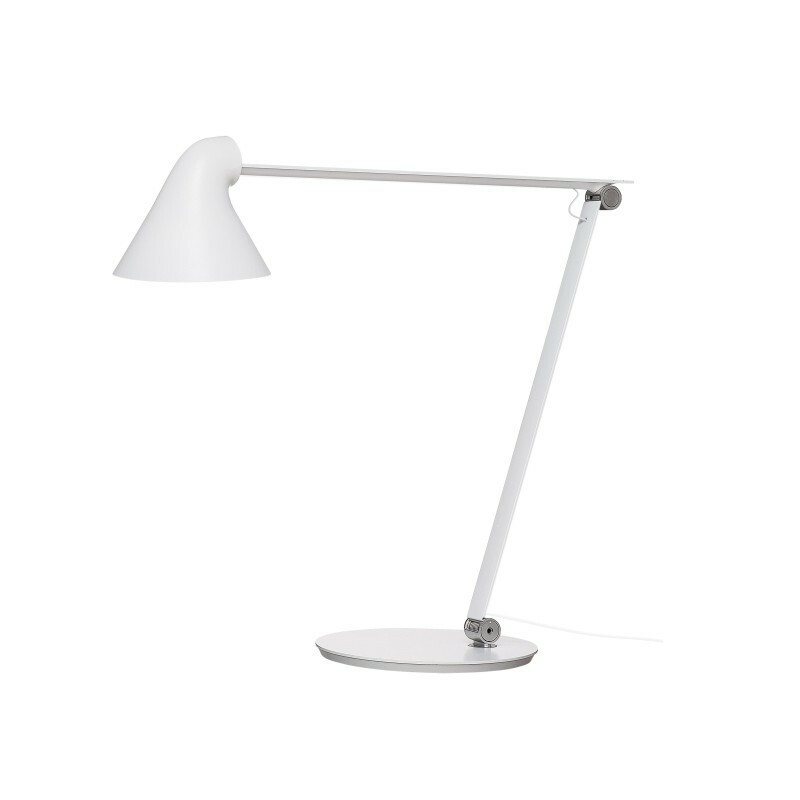 The NJP Table by Louis Poulsen is a twist on a simple take of a highly adjustable and functional table lamp. The designer, Nendo, exemplified the lamp with a glare-free horizontal light that shines directly from the angle of which the lamp is set. 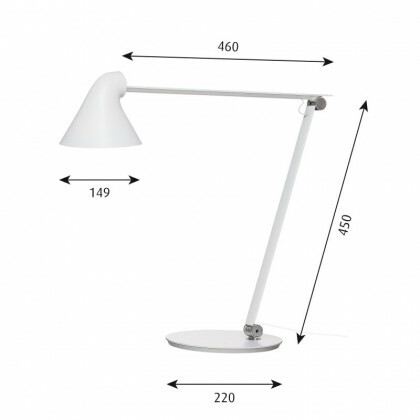 The lamp also is illuminated through the rear of the head from the LED light, which also gives light not only below the lamp but also above it, distributing illumination throughout the room. 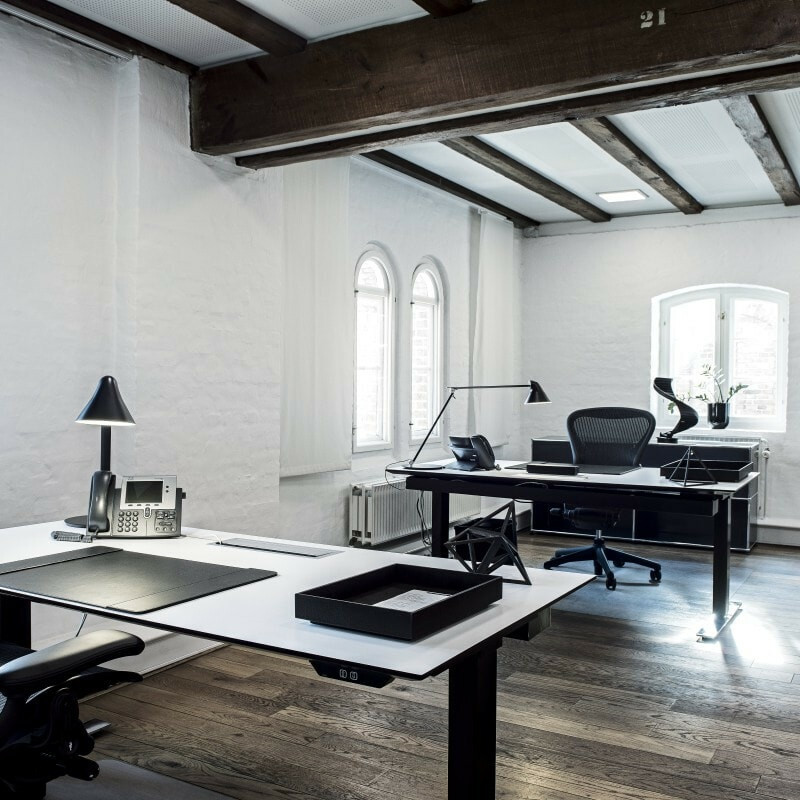 The NJP Table is designed so mechanically viable, that it gives the user a freedom of being able to adjust the fixture so that it can be perfectly shone on the light of the workplace. 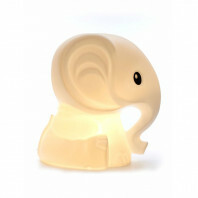 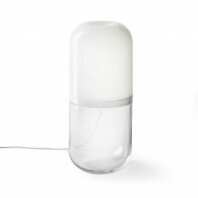 The lamp has four different color finishes available, yet the inside of the lamp is painted white regardless, to help diffuse the most comfortable diffused light. 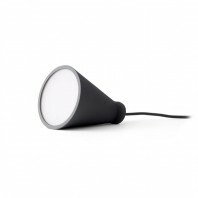 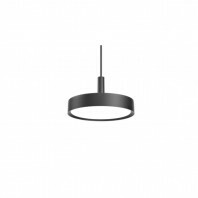 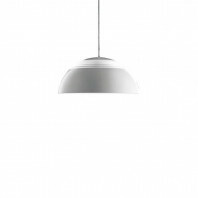 The colors available are white, black, light alu grey and dark alu grey. 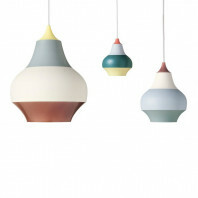 The finish of all these colors are from powder coated material. 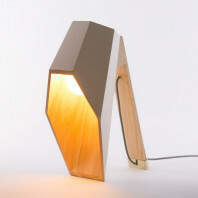 However viable the options are, the colors still stay in a basic themed aura, giving the lamp simple properties, and helping each of the colors fit in to any style or coloured environment. 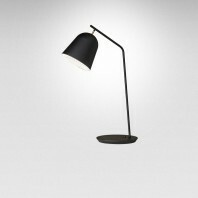 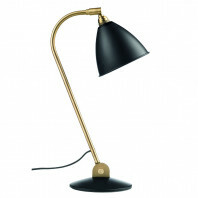 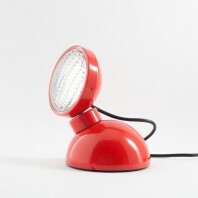 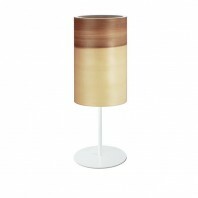 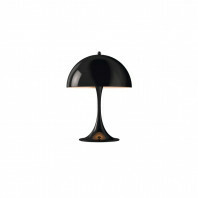 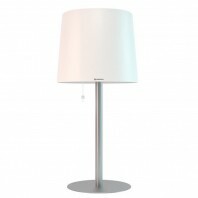 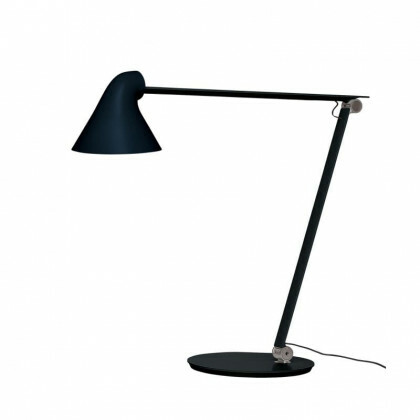 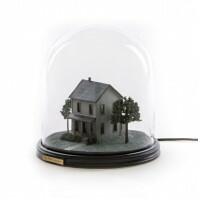 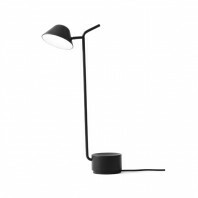 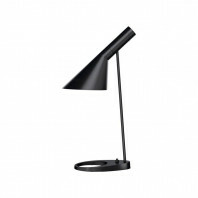 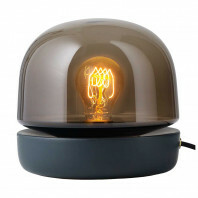 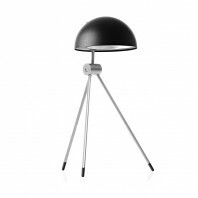 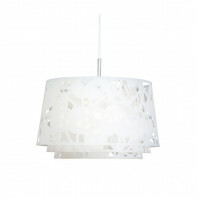 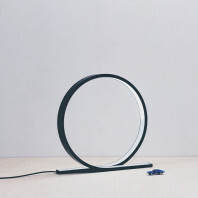 The base of the lamp is made of steel, giving the table lamp a sturdy presence. 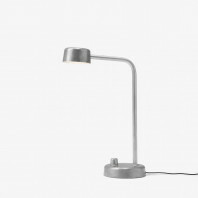 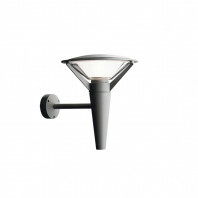 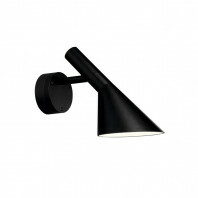 The arms and lamp head are made from aluminium and the joints are also formed from anodised aluminium. The cord of the NJP Table lamp is plastic and has up to 2 meters of length, which allows for a freedom of movement throughout the room. 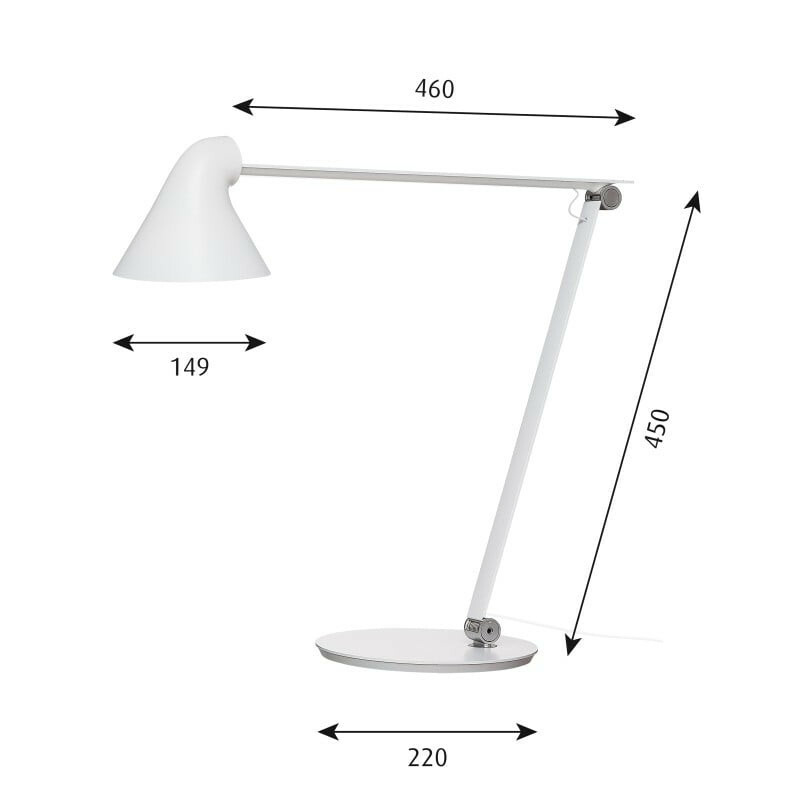 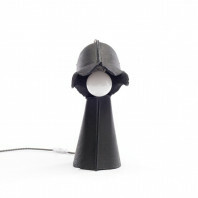 The switch is located directly on the lamp`s head, and the lamp also comes with a timer function of either four or eight hours. 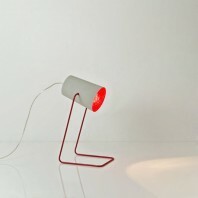 Material Base: Steel. 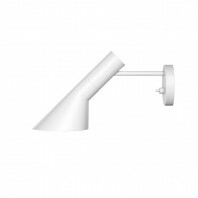 Arms and lamp head: Aluminium. 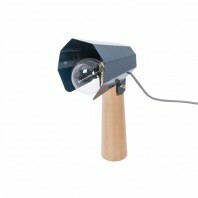 Joints: Anodised aluminium. 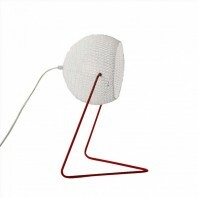 Technical information Electric shock protection II w/o ground.